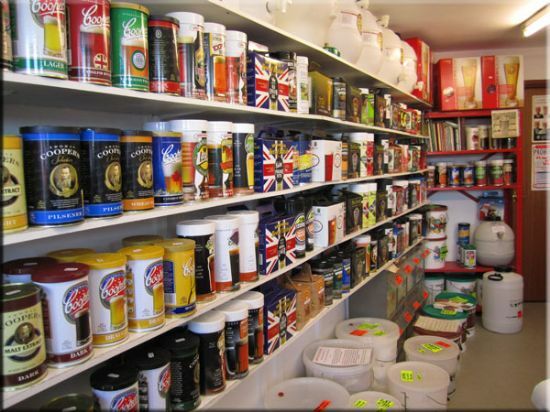 Homebrew Supplies Doncaster, South Yorkshire, has been trading since the mid eighties. After, what seemed a lifetime of working for the leading wine merchant in the UK a voluntary redundancy offer was on the table, an offer even I could not refuse! I had visited Home Brew Supplies, Doncaster South Yorkshire on numerous occasions before accepting the above offer. Both my family and one of my brothers enjoyed home brewing. It didn’t take long for me to make an offer to the then current owner to buy the business, my offer was accepted and on the 4th November 1994, I owned Home Brew Supplies. It was a bit like Victor Kaim “I liked the product so much I brought the business”. Since November 1994 we have worked tirelessly to improve our knowledge of the products we sell and keep abreast of this ever developing, improving a fascinating industry. We will continue to make every effort to improve our skills and follow the true art of ZYMOLOGY. Is to open our shop from 10.00 am to 5.00 pm Monday to Saturday (closed Sunday) and our website 24 hours a day, 365 days a year. We will endeavour to supply anything associated with brewing/wine making you ask for, providing it’s available somewhere. We will endeavour to maintain a comprehensive range and selection of stock that is available through our normal suppliers. Special orders outside our normal stocking range can normally be obtained within 7-10 days. Brewing record sheets (beer/wine/high alcohol) are available upon request. We will endeavour to remain competitive with regard to our pricing policy from budget to top of the range. Over 90% of our stock is discounted against the recommended selling price.